Oral contraceptives, otherwise known as “the pill”, are some of the most popular forms of birth control in the U.S. 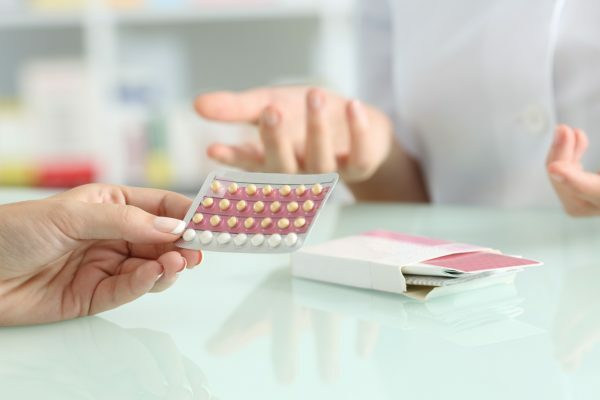 In fact, according to the Centers for Disease Control and Prevention (CDC), 25.9% of American women who use contraception choose oral birth control pills. But like any medication, birth control pills can have side effects. For some women, birth control side effects are positive (like fewer acne breakouts). But for others, the side effects of birth control pills can include hair loss. If you think your birth control pill could be causing thinning hair, then keep reading to learn more about the link between birth control and hair loss. And find out what you can do about it. First, here’s a little background on how birth control pills work. The pill uses a combination of synthetic female hormones to prevent ovulation and greatly reduce the chances of conception. While oral contraceptives are very effective in preventing pregnancy, they do have some drawbacks. 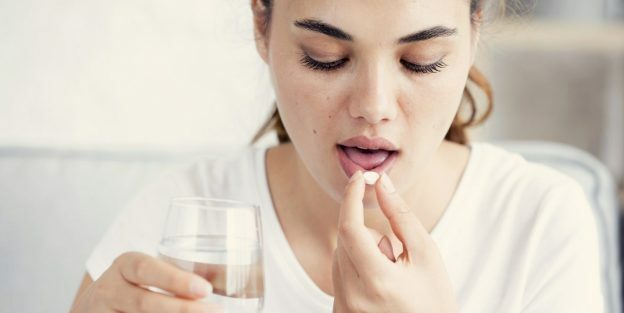 According to the American Hair Loss Association (AHLA), birth control pills can cause hair loss, especially in women who are particularly sensitive to hormonal changes. Additionally, birth control pills can lead to hair loss in women who have a family history of hormone-related hair loss. So how does birth control cause hair loss? The synthetic hormones in birth control pills can interrupt your hair growth cycle. These hormones move hair follicles from their growing phase (anagen phase) to their resting phase (telogen phase). As a result, the scalp sheds more hair than normal. This type of hair loss is called telogen effluvium. Women who do have birth control hair loss may notice it at different times. Some women see hair loss when they first start taking take birth control. Others may have it when they stop taking the pill. And others could see it when they switch between different types of birth control pills. Most of the time, birth control-related hair loss is not too severe. But of course, as we all know, even a little hair loss can feel traumatizing when it happens to us! So keep reading to learn what to do if you have hair loss from birth control. Luckily, hair loss from birth control pills is usually temporary. Your hair should stop falling out in a few months as your body gets used to the new levels of hormones. If your hair loss continues to be an issue, ask your doctor about other contraceptive options. If you have a history — or a family history — of hormonal hair loss, consider asking your doctor about using a non-hormonal form of birth control. If you don’t want to change your birth control, do not stress. 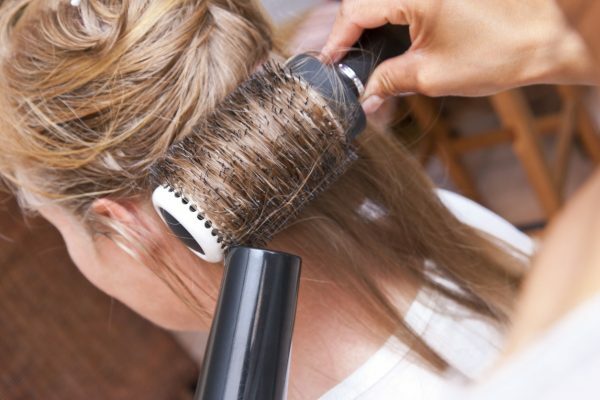 There are simple tips and tricks you can follow to get thicker and healthier-looking hair. One way to maximize the growing phase of your hair growth cycle is to eat a diet rich in hair-healthy nutrients. Think lean proteins, healthy fats, citrus fruits, and leafy green vegetables. Start by washing your hair with Viviscal Gorgeous Growth Densifying Shampoo, which cleanses hair without stripping it of its natural oils. Next, apply a small amount of Viviscal Gorgeous Growth Densifying Conditioner from the ear level to the ends. Let the conditioner sit for several minutes while it works its magic. Then rinse with cool water. This will add moisture to your hair without weighing it down. Gently dry your hair with a cotton t-shirt. Apply a dime size amount of Viviscal Gorgeous Growth Densifying Elixir from roots to ends. Use a wide-tooth comb to work the product evenly through the hair. Blow-dry hair upside down, paying special attention to the roots. Use a round brush to smooth flyaways and frizz. You’ll be amazed at your hair’s volume! The easiest way to add the look of volume to your hair is free and takes just seconds. The secret? Just switch your part! Most of us part our hair in the same place day in and day out. But when you part your hair in a different location, the hair goes against the direction of your hair follicles, giving it some lift at the root. Also, try styling your hair with a zig-zag part rather than a straight part to help hide any areas of hair loss. Have you ever experienced hair loss from birth control pills? Let us know in the comments!